In my ideal world, I'd love to be one of those moms that makes their kids pancakes and eggs and big plates of fruit every morning. In reality, my kids seem to be starving the moment they get out of bed and, even if I had more motivation, I really don't think they would want to sit there after we all stumble down the stairs and I get things out to cook when they could instead have a bowl of cereal immediately. Fortunately, I don't feel too guilty about that when I hear that 84% of parents give their kids cereal and milk for breakfast - it's just too convenient not to! However, that doesn't mean that I'm okay with any old cereal filling up my daughters' bowls in the morning, if it's going to start their day I want it to be a good one... meaning good taste as well as good for you. And nobody understands that better than General Mills and their much-loved Kix. Made out of eight all-natural ingredients, Kix contains no artificial colors, flavors or preservatives but instead is a great source of iron, calcium, fiber and vitamins C and D. It is even backed by the General Mills "Whole Grain Guarantee" stating that every box of their cereal has a minimum of eight grams of whole grain per serving. Definitely a healthy option for breakfast! 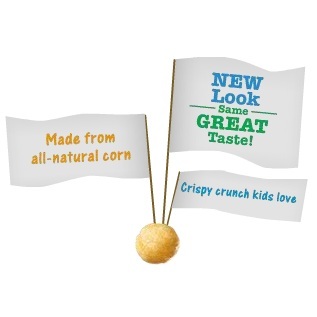 Also, having been around for more than 70 years, Kix has the same flavor and unique texture that kids of all ages enjoy as it did when General Mills first introduced it back in 1937. I remember Kix from when I was younger and now having tried their regular flavor (made with all-natural corn) and Honey Kix (made with all-natural corn and honey) it definitely tastes the same - just light, crunchy, sweet and delicious! In addition to the two tasty boxes of cereal that we sampled, Kix sent over a great travel bowl and cup that are perfect for snacking on the go. Kix is not just a breakfast food, after all, and bringing along a container to munch on in the car or to have as a quick bite is a healthy way to keep everyone happy during the day. 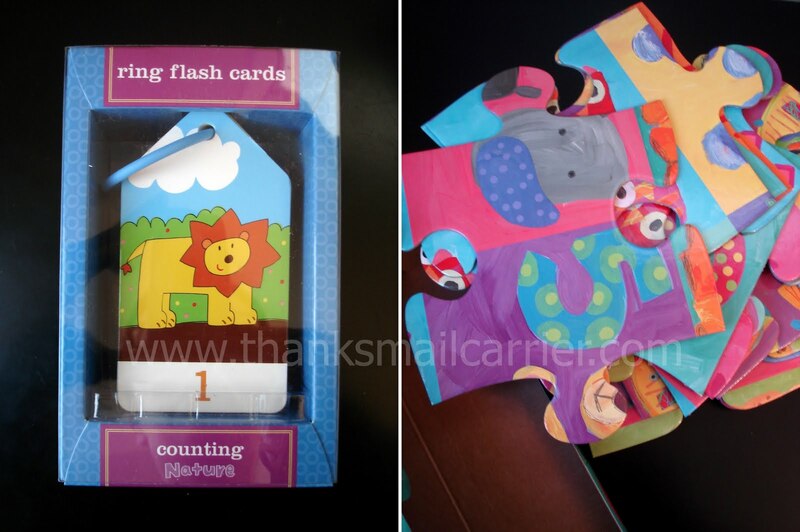 Along with feeding my kids' bellies, I was happy to have a fun way to feed their minds with the 24-piece counting-themed floor puzzle and learn-to-count flashcards that Kix included. For two colorful ways to help encourage numbers, problem-solving, motor skills and more, these educational toys have been a cute way to add some entertainment into our day. With ready-to-eat cereal having fewer calories than almost any other common breakfast option as well as being nutrient-dense and extremely convenient, it turns out that feeding kids cereal is one of the healthiest breakfast choices parents can make. And all this time I thought I was just slacking off! 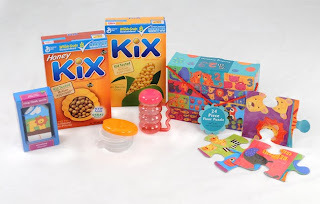 One lucky person will win a "Kid-Tested, Mother-Approved" Prize Pack from Kix! To enter to win: Tell me what a typical breakfast at your house entails. 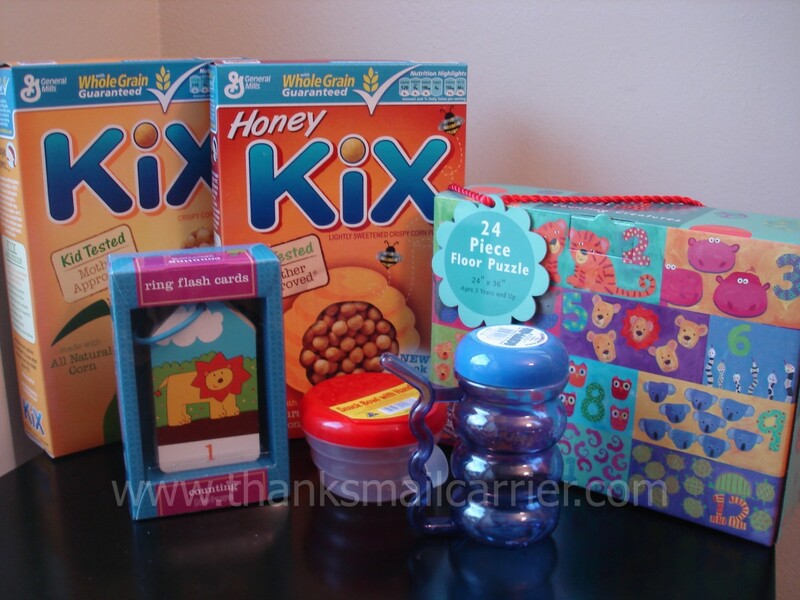 3 Extra Entries if you blog about this giveaway linking back to Thanks, Mail Carrier and Kix. Giveaway will end on December 30th at 11:59pm CST. Do me the favor of leaving an email address or making absolutely sure it is visible in your profile, I have to have a way to contact the winner. The winner will be chosen by random.org and announced here as well as emailed and will have 48 hours to contact me or respond to notification or a new winner will be chosen. This giveaway is open to U.S. residents only. A big thank you to MyBlogSpark and Kix for providing a "Kid-Tested, Mother-Approved" prize pack for me to review as well as for one lucky giveaway winner. The opinions shared are my own and honest and if you really need to see more, click here to see how I roll. We usually have cereal or oatmeal. We are big cereal eaters in our house! I entered the Construction Puzzle giveaway. we eat a lot of cereal in this house...we love it! My three kids usually have cereal or Pop-Tarts. My hubby has tuna (don't ask). And I have coffee and leftover pizza or taco bell or kfc. A bowl of cereal top with fruit and milk is a typical breakfast. We rotate between milk and cereal, muffins and eggs and sausage. On weekdays it's usually so busy we just grab and go. On weekends I try to make a nice hot breakfast for everyone. A typical breakfast is cereal or yogurt and pancakes on the weekends. I entered you ATG giftcard giveaway. I sadly must wait till I get to the office to eat breakfast. At our house breakfast is a bowl of cereal usually kix or a granola bar and fruit. There is no such thing as a "typical" breakfast at our house, lol. Some days its cereal, no milk. Some days its cereal WITH milk :) Some days we have eggs and toast, others we do peanut butter on crackers with grapes... Whatever the little weirdo's are interested in, as long as its healthy!!! A typical breakfast around here is usually my son eating a toaster strudel before getting on the bus and me and my husband drinking a cup of coffee. When my daughter wakes up she usually has a banana and some dry cereal. I entered the pancake batter dispenser. usually just ceral and milk. though they seem to want fruit snacks most mornings now as well. During the weekdays, typically a bowl of cereal. Over the weekends, we have more time to make eggs or pancakes or bacon. Breakfast here usually consist on Peanut Butter on toast. I entered for the Rody Horse. We are a cereal family for sure.. my daughters favorite breakfast is french toast! Ours is usually poptarts or a bowl of cereal. 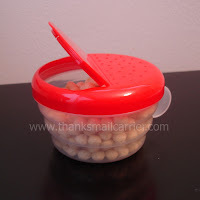 Weekdays, it is cereal. But weekends I always cook a good breakfast! Tomorrow we are having Ham and Egg and Cheese English Muffins! We usually eat a granola bar.